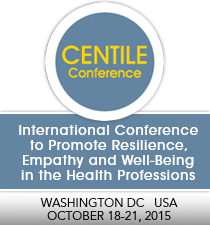 The 2015 CENTILE International Conference to Promote Resilience, Empathy and Well-Being in the Health Professions: An Interprofessional Forum was held in Washington DC on October 18-21, 2015. This conference was co-hosted by the Center for Innovation and Leadership in Education (CENTILE) at Georgetown University Medical Center (GUMC) and MedStar Health, and jointly sponsored by 6 academic institutions. Dr. Sumar led the session, Teaching Resiliency to Resident Doctors for a Rewarding and Sustainable Career that stressed the importance of resiliency in residency for a sustainable career. 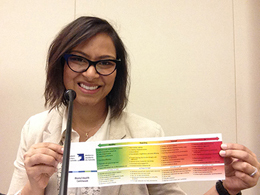 She also provided an update on the on-going development of RDoC’s resiliency curriculum.